Stinging nettle (Urtica dioica and the closely related Urtica urens) has a long medicinal history. In medieval Europe, it was used as a diuretic and to treat joint pain. Originally from the colder regions of northern Europe and Asia, this herbaceous shrub grows all over the world today. Stinging nettle grows well in nitrogen-rich soil, blooms between June and September, and usually reaches 2 – 4 feet high. Stems are upright and rigid. The leaves are heart-shaped, finely toothed, and tapered at the ends, and flowers are yellow or pink. The entire plant is covered with tiny stiff hairs, mostly on the underside of the leaves and stem, which release painful, stinging chemicals when touched. Stinging nettle root is used widely in Europe to treat BPH. Studies in people suggest that stinging nettle, in combination with other herbs (especially saw palmetto), may be effective at relieving symptoms such as reduced urinary flow, incomplete emptying of the bladder, post urination dripping, and the constant urge to urinate. These symptoms are caused by the enlarged prostate gland pressing on the urethra (the tube that empties urine from the bladder). Laboratory studies have shown stinging nettle to be comparable to finasteride (a medication commonly prescribed for BPH) in slowing the growth of certain prostate cells. However, unlike finasteride, the herb does not decrease prostate size. Scientists aren’t sure why nettle root reduces symptoms; it may be because it contains chemicals that affect hormones (including testosterone and estrogen), or because it acts directly on prostate cells. It is important to work with a doctor to treat BPH, and to make sure you have a proper diagnosis to rule out prostate cancer. The leaves and stems of nettle have been used historically to treat arthritis and for sore muscles. Studies have been small and not conclusive, but they do suggest that some people find relief from joint pain by applying nettle leaf topically to the painful area. One preliminary human study suggested that nettle capsules helped reduce sneezing and itching in people with hay fever. Researchers think that may be due to nettle’s ability to reduce the amount of histamine the body produces in response to an allergen. More studies are needed to confirm nettle’s antihistamine properties, however. Some doctors recommend taking a freeze-dried preparation of stinging nettle well before hay fever season starts. Stinging nettle is available as dried leaf, freeze-dried leaf, extract, capsules, and as root tincture (a solution of the herb in alcohol). The root appears to have different pharmacological effects than the leaves. Although available in many combination formulas to treat colds, asthma, and allergies in children, a specific safe and effective dose for children has not yet been established. Talk to your doctor before giving stinging nettle to a child, so the doctor can determine the proper dose. Tea: prepare a cup by pouring 2/3 cup of boiling water over 3 – 4 tsp of dried leaves or dried root and steeping for 3 – 5 minutes. Drink 3 – 4 cups per day. You can also make an infusion with fresh nettle leaves. Always drink additional water along with the tea. 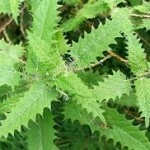 Stinging nettle is generally considered safe when used as directed. Occasional side effects include mild stomach upset, fluid retention, and hives or rash (mainly from topical use). It is important to be careful when handling the nettle plant because touching it can cause an allergic rash. 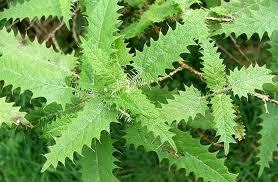 Stinging nettle should never be applied to an open wound. Herbs can trigger side effects and can interact with other herbs, supplements, or medications. For these reasons, you should take herbs with care, under the supervision of a health care provider. Do not self-treat with nettle for BPH; see your doctor to receive a diagnosis and to rule out prostate cancer.